Reber Rock Farm is an 120-acre draft powered farm on the southern edge of the Reber Valley in Essex, NY. Using a combination of draft horses and diesel power we produce a diversity of grassfed and pasture raised meats, small grains, vegetables, herbs, fruits, maple syrup, draft wood, shiitake mushrooms, and Suffolk Punch Draft horses. We are a diversified farm, whose farmers seek a diversified livelihood. Our products and those of 10+ other local producers are available for sale year round in our Farm Store. Custom Meats can be ordered in the spring for delivery in the Fall. Forest Management services and Draftwood orders taken at any time. Suffolk Punch Draft horse sales upon availability. 2016 was our fourth season on the farm. Racey and Nathan Henderson have been farming together for five years in Essex, and own Reber Rock Farm. Racey’s work on the farm focuses on managing the Farm Store and Farmers Markets, supporting livestock production and community outreach. She is also a trained international development professional having worked on rural resilience issues in humanitarian and development contexts in West and Central Africa for the last 17 years. In 2017, she co-founded Ndara a private, for-profit business that builds marketable skills for artisans in the wartorn Central African Republic and sells their products globally. Click the link below for more information on Racey’s international work. Gwen Jamison and Chad Vogel own 30 acres adjacent to RRF and co-manage Reber Rock with Racey and Nathan. Chad, a Natural Woodsman, manages the woods, works the horses, trains the new ones, manages the horse breeding and fixes things. Visit Reber Rock Draftwood website to learn more about horse logged flooring & restoritive forestry. Gwen Jamison and Chad Vogel own 30 acres adjacent to RRF and co-manage Reber Rock with Racey and Nathan. Gwen is a livestock expert, keeper of shiitake mushrooms and ﻿graphic design ﻿artist (the mastermind behind all RRF's labels and logos). Gints worked full time at Reber Rock for 2014 and 2015. He is currently WOOFing in Washington state, but we know he'll be back sooner or later. 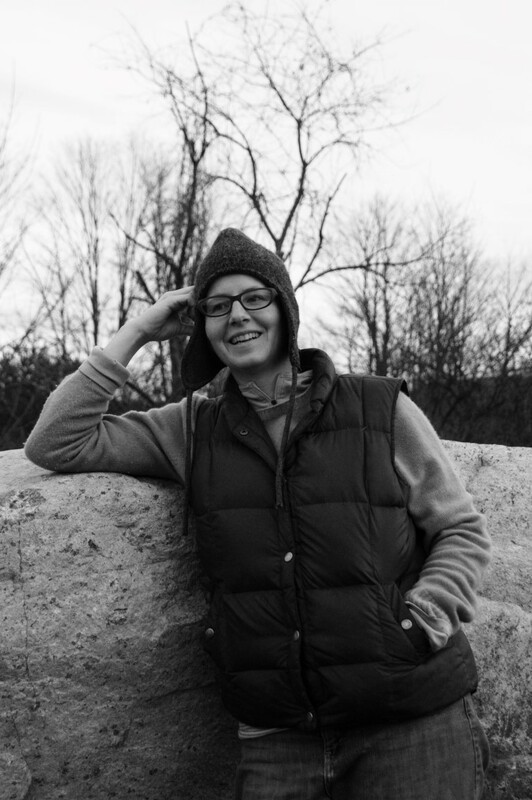 Resident specialist on backgammon, etymology, meta ethics and all things Latvian..
Emily worked at Reber Rock in December 2015, and took some wonderful photos that you'll see on this site and in the farmstore. She is the creator of Artisantotable.com a wonderful tribute to farmers and their reasons why. 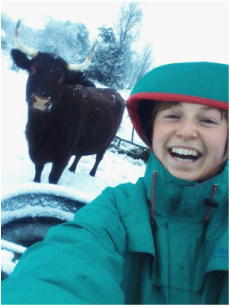 Caitlin Kelly worked for us in the winter of 2014, our second Adirondack Semester Intern, and a trooper in the cold! Read about her experience at RRF on the Essex on Lake Champlain Blog. Klare was our first Adirondack Semester Intern in 2013, and got us hooked on these fabulous folks. To our joy, we then got her back for the summer of 2015. 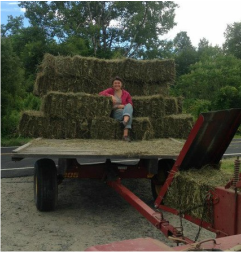 She's now starting her own farm in Westport, NY, makes sauerkraut, and runs a food truck, Poco Mas Tacos. Check out her website: kzfarmny.com. Pepper worked at Reber Rock Farm in 2013. She arrived by bike, lived in a shed, walked barefoot and smiled a lot despite the chaos. 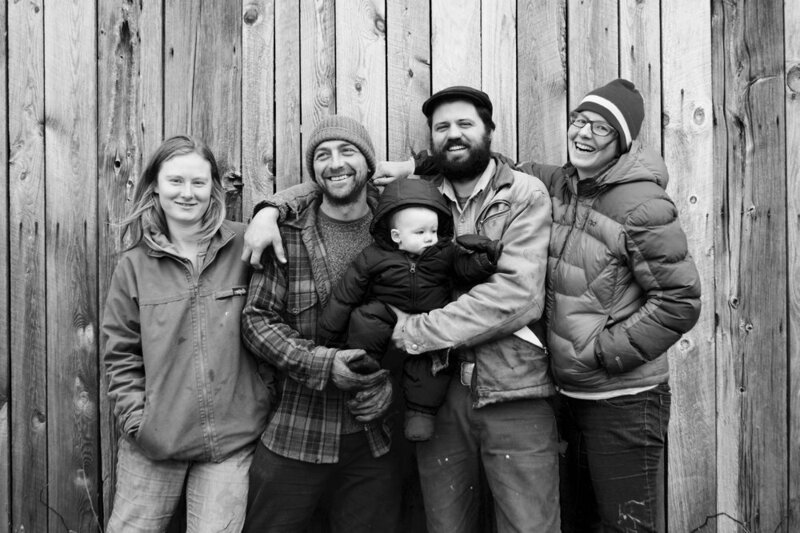 Jesse worked at Reber Rock Farm in 2013 - our starting year. He then decided to head home to Montana to establish his own operation closer to family and home-country. He's now farming 110 acres in the Mission Valley, outside the small town of St. Ignatius, MT. is new farm's website is www.lowerxingfarm.com. Reber Rock Farm's submits regular photo journals - called Fotofeeds - on The Essex on Lake Champlain Website. Below are links to each fotofeed. Turkey video of our amazing fun Pastured Turkeys!